In the market for new window treatments? We offer the convenience and confidence of free, personalized consultations right in your home, apartment, or office. As a local and trusted Hunter Douglas Priority Dealer, we offer a signature collection for those who seek the best in American design and craftsmanship. Contact us today! We offer a proven, unique method to rid your blinds of dirt, dust, grease and hidden allergens. Our self-contained mobile system cleans most types of residential and commercial blinds right outside your home, apartment or office. Our technicians take down your blinds, clean them carefully and thoroughly in our specially designed vehicles and then re-install them — all during your scheduled appointment. 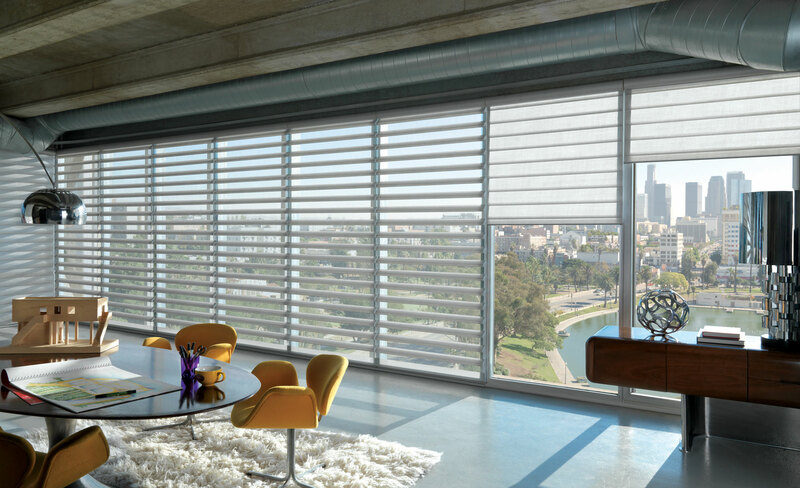 You never have to be without your blinds! We created our own system in 1992 around a water-based solution to accommodate both residential and commercial blinds inside our vehicles. We use specially chosen chemicals that clean thoroughly, dry spot-free. This system was designed to improve on the ultrasonic method that preceded it. Your satisfaction is guaranteed.